What is Wireless AC and Can it Make My Network Faster? 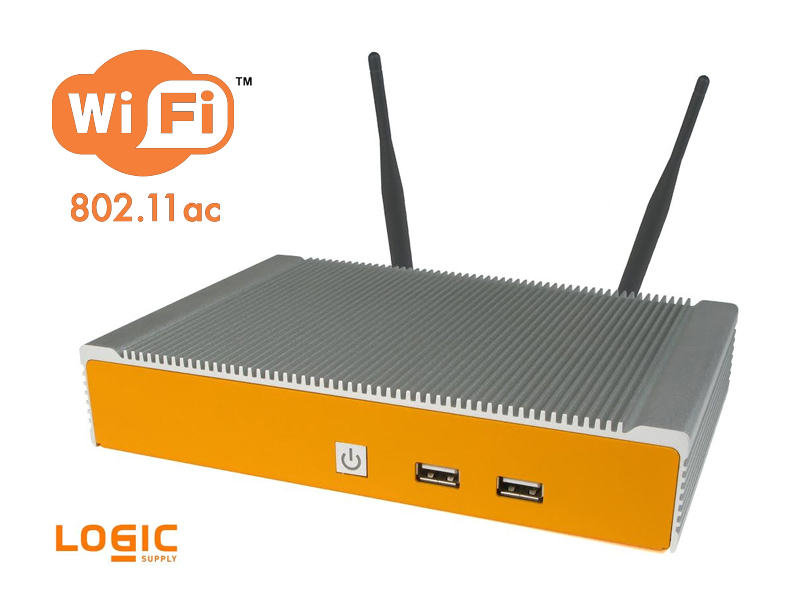 Recently, Logic Supply added an option for 802.11ac wireless to any of our computers equipped with a mini PCIe slot. This addition means customers with AC wireless networks can now leverage 100% of their bandwidth when utilizing our systems. This new addition to our lineup also future-proofs our computers to the emerging, faster wireless standards. But what advantages does 802.11ac offer over its predecessor 802.11n? The first and most obvious advantage of wireless AC is that it’s significantly faster. Before AC, wireless had a theoretical maximum bandwidth of 300Mbps. Although this speed is ample for many internet connections, it does offer challenges to systems connecting to fast, internal networks and fileservers. Wireless AC ups the speed maximum to 867Mbps (Using the Intel 7260 chipset), bringing near gigabit speeds to wireless. AC also improves range of a wireless signal. Past wireless used the 2.4Ghz and 5Ghz networks together. Wireless AC signals only use the 5Ghz spectrum, which has traditionally been far less susceptible to noise from other devices, allowing for stronger and longer signals. This also improves strength of signal and reliability for clients that may have older hardware. By not adding additional traffic to the clogged 2.4Ghz band, additional AC clients will not interfere with large capacity networks filled with b/g/n users. Finally, one of the most important features of 802.11ac is the fact it is 100% backwards compatible with 802.11b/g/n networks using both the 2.4Ghz and 5Ghz bands. This means that not only can computers with AC wireless cards connect to older networks, but clients with older wireless cards can connect to AC networks. This eliminates the compatibility worries that many customers have had in the face of past wireless standard transitions, allowing them to easily upgrade to this exciting technology. What Wireless AC Option is Logic Supply Offering? The specific card that Logic Supply is now carrying is the Intel 7260 series, which offers Wireless AC, Bluetooth 4.0LE, Intel vPro and Active Management Technology, and provides lower power draw than previous generations. It supports Windows 7, 8 and many versions of Linux. 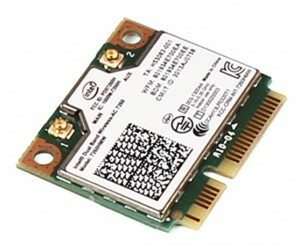 To check it out, head to logicsupply.com/int-7260-pcie.